Who thinks that treehouses are just for kids, he’s wrong! 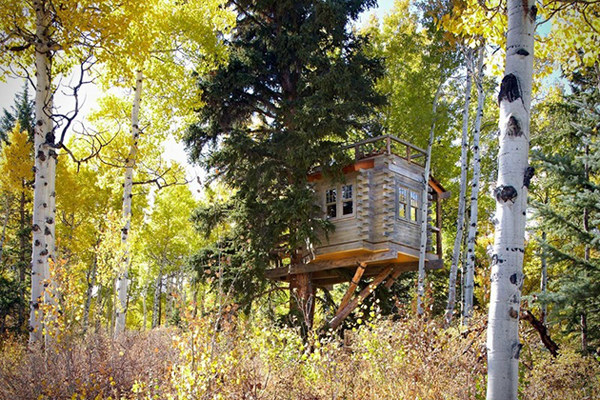 This treehouse was built in Vail, Colorado. 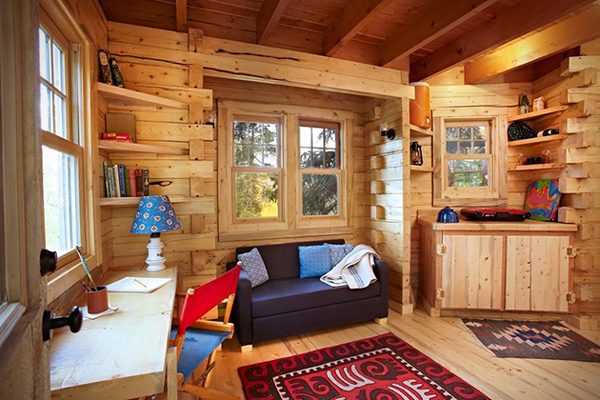 According to what iCreatived wrote “It seems the architect Missy Brown was also fond of the childhood tree house, and now managed to build an adult orientated, elevated living space right in the middle of the woods just like the owner of it wanted. The house is anchored to a 90 foot tree and a few fallen/dead pine trees help give it a stabilization and some extra support. The entrance to the house is made after you go up the spiral stair case, entering directly to an open living space. You can use a working desk, sleeping quarters or simply enjoy the rooftop patio that really is a delight for taking a cooling drink in a sunny summer day. For the cold days in the year, the house is equipped with an electrical baseboard that will help keeping warm”. 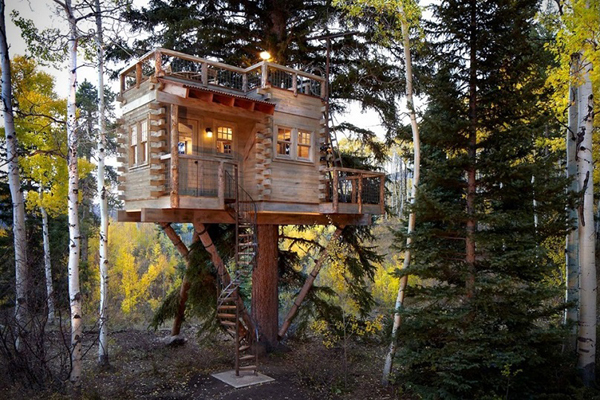 I would also love to live in a treehouse like this one! Source and pics by iCreatived. All rights reserved.